Earn up to 6,360 reward points. Huge, deep sound that gets the job done from the studio to the stage. The Whiskey 2x12" cab is designed especially for the large low-end capabilities of the 65amps Whiskey head and sounds huge. If you're looking for the authority of a 4x12" in a smaller package, look no further. The Whiskey 2x12" is also a great accompaniment for any 65Amps standard size amplifier heads. 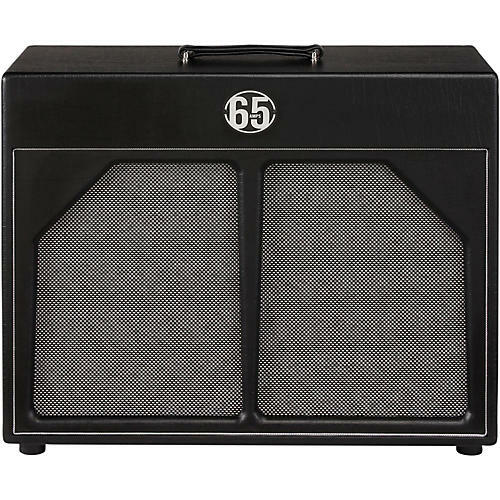 This cab features a tuned horizontal port in the rear to maximize efficiency and punch, and is the favorite of touring pros and studios around the world. At the heart of this cab are two Celestion G12H30 speakers famous for their ability to recreate the classic sounds of '60s and '70s rock. With a strong, aggressive low-end and powerful low-mids, the G12H penetrates any mix with an attacking upper mid-range and an ice-cool top- end. These speakers provide serious attitude to soft amp tones, easily cutting through loud stage levels for chord work, and imparting a hard edge to single notes and is a perfect compliment to the Whiskey head. Dimensions: 27.75" x 11.5" x 22.5"